are you someone looking for a guild that you can grow in and call home? do you want to start earning general kenobi shards? do you want a complementary plate of cookies? The guild accepts the most dedicated of Veteran Heroes (Level 80+), willing to contribute daily at least 500 tickets and share in the spoils of a Heroic Rancor or Heroic Tank’s defeat. The exchange is a thriving market and a symbol of the sense of community of the guild. Eastern is the time zone used by the guild, but members of all locations are welcome. We are currently accepting members to our second guild with opportunities to progress and eventually join the main guild as positions become available. Plz post in fallenrecruits only to till officer accepts you into our guild thanks! Thrwn Stars are a new guild born form the ashes of darthpunkk. We are players from all sorts of timezones and 99% f2p. We are looking to recruit some new players to our ever expanding roster. In our old guild we could do tank takedown np and rancor upto tier 6 with ease. We don't have any rules just play the game have fun. We will consider any levels as long as you are friendly and active daily. Supreme Leader Snoke commands you to join TheFirst0rder! There are currently 3 spaces for new members to join. We estimate that we'll be attempting HAAT raids soon after the next Thrawn event (possibly October) and we want your help getting there quicker and making it successful. Our guild "igotabadfeelingboutthis" is open for recruitment! We are all very passionate in this game. If you are looking for an exciting journey in SWGOH, come over and join us!!! Fear the hunters looking for 3 members. We do HPit with 12h 0-low damage. We are mostly from the USA and from europe, so the launch times rotate between times in which hit time is good for both places (between 13 - 20h gmt+0). For the moment, We do NAAT ffa so we usually just launch it close after the reset so everyone has the sam change. We'll probably implement some rules soon. We just did a merger and are one step closer to HAAT. We're a UK Based committed guild working towards getting HAAT on farm. Our guild is newly formed from an old Guild that died. We have a lot of core members that are able to smash the Heroic Rancor which we will have on farm after today. Several of us are ready for HAAT, though as a guild we are not quite there yet. We're looking for experienced players to come hang out with our friendly and helpful members on Discord, as well as contribute to the daily 600 and smash some Raids with us. If you're looking for a casual atmosphere with a committed group of players then I hope you'll come join us and share in our future glories! We are recruiting for players over level 80. We are casual, but very active. We have heroic pit down to 2-3 times per week and getting close to HAAT. Use discord for chat. We have a 3 hour sacrifice period working to a 24 hour period to allow players to get loot when unable to make the designated time. Private message me for discord info. Cloud City Crusaders is looking for new members. We're based in the U.S. and U.K.
We've been around a long time and we're aggressively laid back - no trash talk, no rudeness. Rule breakers and trouble makers get warned & then booted for the good of the group. We do Heroic Pit and Normal Tank, so we need people to have at least one 6* toon, 7* toons are better since they can do both raids. No rules for the Tank Raid at this point. Pit rules are for the first 24 hours, everyone goes in and scores 0. Then someone designated does the pigs and the. Everyone else can go in one at a time, call in/out. We use Line to communicate. PM me here if you're interested. It's time to finally leave your dud guild and join the real deal! We produce 25k raid tickets daily and are a month, or so, away from Haat. We can even tier 7 daily Guild Activities! There are 49/50 members but will have a few spots open up soon. The guild has a Discord group so that we can communicate better than in the guild chat (It also will come in handy for Haat Raids and the new Territory Battles). Our rules are listed in the Discord group. There is a 24 hour no damage to Heroic Rancor rule to ensure everyone gets rewards. If you request a piece of gear, your donation will be filled extremely quickly. It is a great group. Lots of members know a great deal about the game and can give advice. We are looking for players who will produce daily raid tickets, communicate in chat, and are of a higher level. 3 consecutive days of under 200 raid tickets, or 2 days of 0 raid tickets in a week, and we boot. I guarantee you won't be disappointed if you chose Darkened Stars! We have members from all over the world but speak English. You can also friend request in the game to ally# 635-969-644 If you go this route, you must leave your old guild first so that the friend request doesn't just look like a request from someone that battled me in squad arena. If I see someone friend request me with no guild next to their name, I know they are looking to join. We are close to complete the heroic tank raid, trial every 2 weeks. Roster requirements are not strict. 6Slots to fill right now. ~25k Tickets. We have an active ingame chat and an active Discord server with advice, gamediscussion and offtopic. English chat with a german discord channel. Nice community. Please note as a guild we dont really use discord as of yet but I'm using it to try to meet new players. Hey there! Me and my wife started our guild last October and we've grown leaps and bounds since then! We're closing in on being able to take down Haats. Had a bit of an awakening on phase 2 on our last try so we're really trying to buff up our phase 2 squads! I feel like we have a great community of people! We started from a measly ten or so and have worked our way up to a full guild. Inactivity has forced us to trim a few people so we're out looking to add to our community! If your at all interested feel free too message me here of look me up in game. My ally code is: 113-666-399 ...or just look up our guild 'Peace is ä lie'. Hope you have an excellent day and thank you for your consideration! We are a group of active players seeking passionate players to join us. We are HRancor ready and preparing our HAAT this week! We seek players of any levels to join us. Our officers are always ready to help and will definitely assist in anyway we can. Our members spread all over the world and will be always ready to support you in your quest for success! Hello, I am Officer barnabana (485-846-724) of TheInfiniteOrder. We are a small, casual, noncompetitive guild currently trying to increase our numbers. Currently we have 8 members, of which 4 are lvl85, so we mostly do high-tier raids (VI-VII tier), but that may change depending on future guild lvl-composition and greater ticket production. We use Discord to communicate and if you are interested please add me and we can discuss further. We raid T7 Heroic Pit at 9pm AEST mon, wed, fri. We currently Zerg T6 AAT to build gear for those requiring more. We are doing hPit with a 24 hour 0 damage registration period and nAAT that is P1 attacks only for the first 24 hours, then FFA. Our raids begin at guild reset at 8:30 PM EDT and raid character reset time is 1 AM EDT. 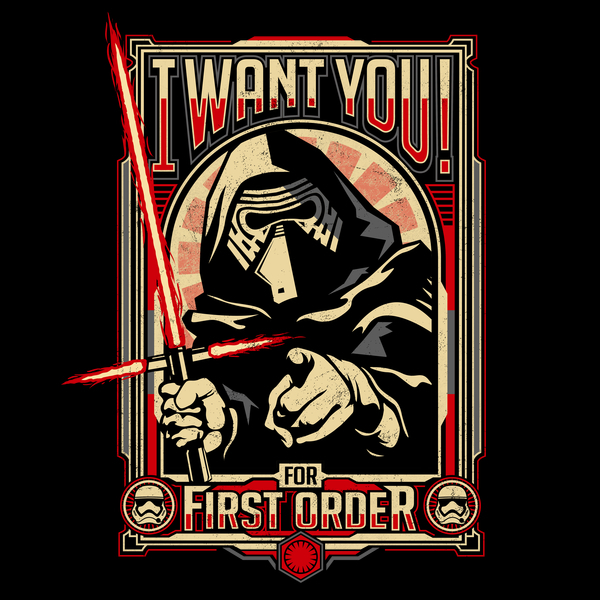 Supreme Leader Snoke commands you to join TheFirst0rder! There are currently 3 spaces for new members who want to be part of a committed and ambitious guild with casual rules. Hey there! We Broke Homogeneity and we are currently recruiting players between 70-80, the very minimum is 60. We are trying to progress as a guild and make progress towards our first heroic raids. We are currently rotating T4/T5/T6 Rancor and are completing normal AAT raids in about two weeks. Once we get more higher-level members this will obviously move faster. We don't have many rules, besides courtesy for lower level players in T4 raids. We will hopefully soon be taking T4 out of the rotation. We don't have a 600 ticket every day rule, because we understand life happens sometimes. All we is looking for is friendly, active members who will contribute gear donations and raid tickets. Come grow with us! My ally code is 778-385-573. Send me an ally request or PM me on here if you want to join! Looking for a new active guild who gets the work done? A guild that communicates outside of the game? A guild that gives good advice? Look no further! Join Cruel Assasins today! Here at Cruel Assasins, we communicate using discord with the cantina, or casual chat, raid announcements, guild events or updates, mods (more info later), and ally codes. In the cantina, we chat with other players about the game, giving tips on squads to farm or what squads to use in events or raids. We even have a special someone who gives us information about the game on discord. He plays a lot of the game and knows exactly what to farm and what squads to use during each event. All you have to do is ask him and he knows. If it's new in the game, he'll do the research and let you know ASAP! There's not much explanation as to what this one is. It's just an announcement board as to what raids we'll be doing. You can ask or informant what squad you'll want to use. Not much explanation here either, just that this one will be used to describe the updates and upcoming guild events. Ok this one REALLY blew my mind when I used this. In the discord server, go to the mods tab. If you don't know what mods you want to use on a certain character, type in ;mods <character name> and a list will pop up describing the sets you'll want to use and the primaries on the mods that would fit best with the character. So instead of researching what mods would best fit your character, just simply type ;mods <character name> and let the bot do it's job! At Cruel Assasins, we're friends with everyone. Sounds weird but yeah. If you want to be allies with someone who's a higher level than you, then just post your ally code in the Ally Code section, and you'll get invites! We still use the in-game chat so if you have questions on what to do, we'll get you answers ASAP. Or you could go to the app store or play store and get Discord for free and tell us your display name, and we'll invite you to the group. If you have any questions, feel free to contact me or the leader on the Line app or just comment. Thank you for your consideration of Cruel Assasins! We are a small family of 3 guilds seeking players who want to master Territory battles. We have a few spots open in of our HAAT guilds, and several spots open in our casual/training guild.